A “wide-ranging” review of player behavior and the spirit of the game has been launched by the International Cricket Council (ICC) following the ball-tampering scandal engulfing the Australian team. ICC chief executive David Richardson will spearhead the review, which is likely to result in a strengthening of the current sanctions available to the sport’s worldwide governing body. Reviewing the levels of offense based on seriousness, more clearly defining the conduct that will constitute each offence and reviewing the sanctions that should apply to the various offences are among its main aims. It will also look at establishing a “spirit of cricket” code, which the ICC claim will be based on a “culture of respect”. The commissioning of the review follows what Richardson claimed was “perhaps one of the worst periods in recent memory” for the sport. Former Australia captain Steve Smith was banned for one match by the ICC for his role in the plot to tamper with the ball during the third day of the third Test against South Africa in Cape Town. Vice captain David Warner, who has been described as the instigator of the plan, was not charged with any offence under the ICC code of conduct. Opening batsman Cameron Bancroft, captured on television footage rubbing a homemade form of sandpaper, constructed from sticky tape and grit from the playing surface onto the ball in an attempt to change its behavior, was fined 75 per cent of his match fee. There has been widespread uproar at the actions of the three players, who have all been banned by Cricket Australia, and there are calls for harsher punishments for breaches including ball-tampering. The amount of sledging – verbal methods used to intimidate opposition players – during the fiercely-contested series between Australia and South Africa will also be looked at. “We have seen a number of incidents of poor player behaviour in recent weeks which has included ugly sledging, send-offs, dissent against umpires’ decisions, a walk-off and ball tampering,” said Richardson. “The global outcry in relation to the ball tampering is a clear message to cricket: enough is enough. Smith and Warner were both suspended for 12 months, with Bancroft banned for nine. 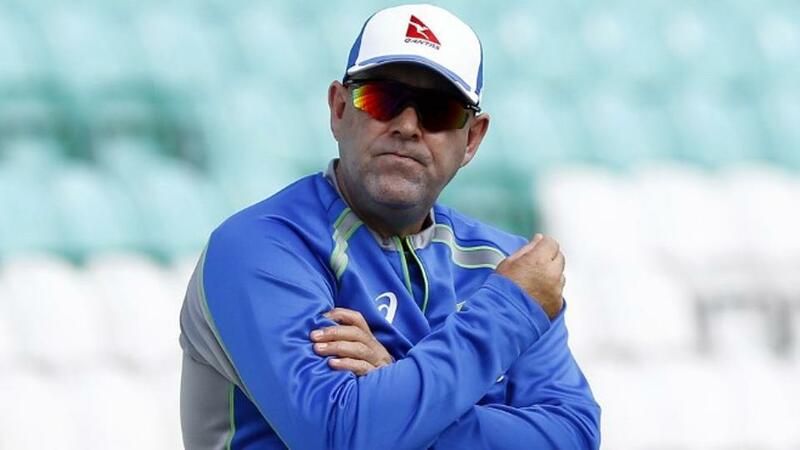 Australia head coach Darren Lehmann also announced that he will resign following the conclusion of the series with South Africa. The fall-out has also prompted Magellan to withdraw as title sponsor of Australia’s home Test matches, while a host of companies have terminated sponsorship deals with the players involved.